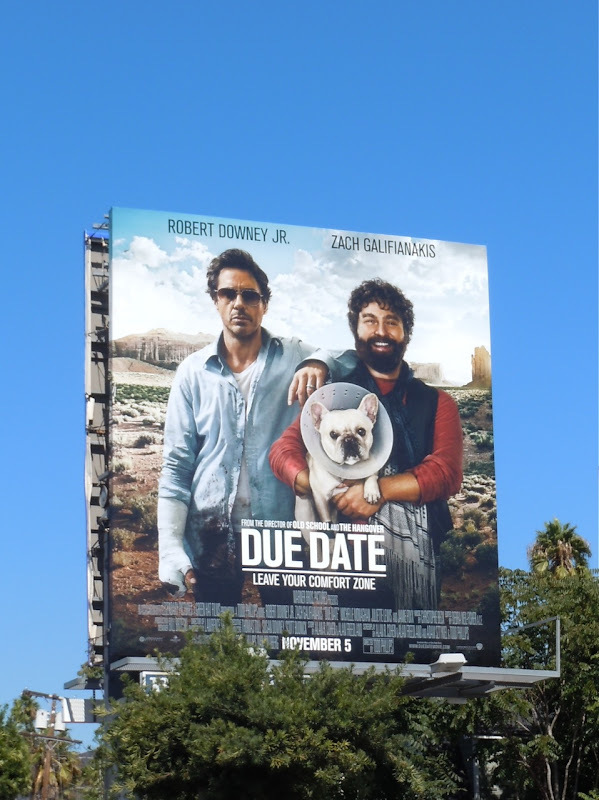 You'll find comedic geniuses Robert Downey Jr. and Zach Galifianakis looking down on L.A. from numerous different billboard creatives for their new movie, Due Date, at the moment. The trailer looks hilarious and Daily Billboard wonders if this comedy could be this year's The Hangover? This fun billboard was snapped on October 10, 2010 along Fairfax Avenue in L.A. 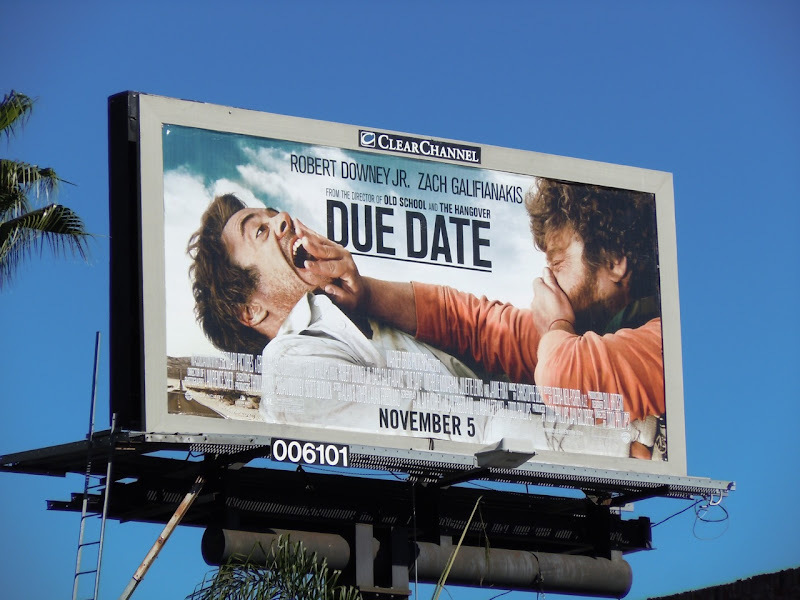 UPDATED: This other smaller creative for Due Date was snapped along Sunset Boulevard on November 2, 2010.